Mountain View is located in South Bay, just 10 miles north of San Jose and 35 miles south of San Francisco. Our Mountain View apartments are located in the heart of everything the city has to offer. Mountain View’s biggest draw is being the home to Google, Mozilla, and Intuit’s headquarters; however, this isn't all the area has to offer. Residents of our Mountain View apartments love being so close to Downtown Mountain View and Castro Street, the main street downtown. The center of Downtown Mountain View is City Hall, and the remaining area is filled with restaurants, bars, shops, theaters and cafes. You can escape downtown and head to Shoreline Park where the Shoreline Park Amphitheatre is located. Stevens Creek provides a perfect place to run, walk, or ride a bike. Living in our Mountain View apartments allows you to enjoy some top amenities. Community amenities can include two pools, a laundry facility, parking, clubhouse and fitness center. Individual apartment amenities can include renovated apartments with gourmet kitchens, private balcony, additional storage and walk-in closets. 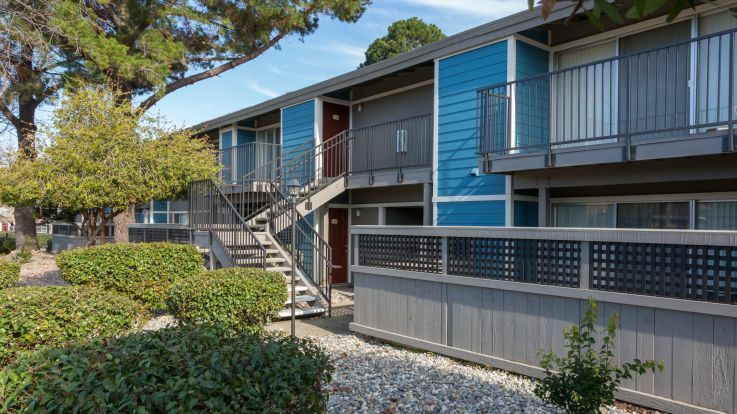 Browse through the neighboring communities in Sunnyvale if you can't find what you're looking for in our Mountain View apartments.